Steve and I headed to Rhode Island yesterday with Bongi, his girl and his dog in tow. We went and checked out Circuit BMX's new shop location. Vic has that place stacked with the latest and greatest in the BMX world! 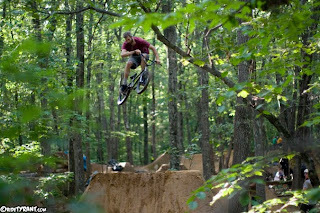 Eventually made out way to the Cumby Trails, their local jumps. To say that I was awe struck would be a total understatement. These trails were epic...the place was beyond perfect! Steve and Bongi got on their bikes and got jumping pretty quick, while I was a chicken sh1t and manned my camera most of the day. It was a fun session watching Vic and the locals blast over their huge sets. 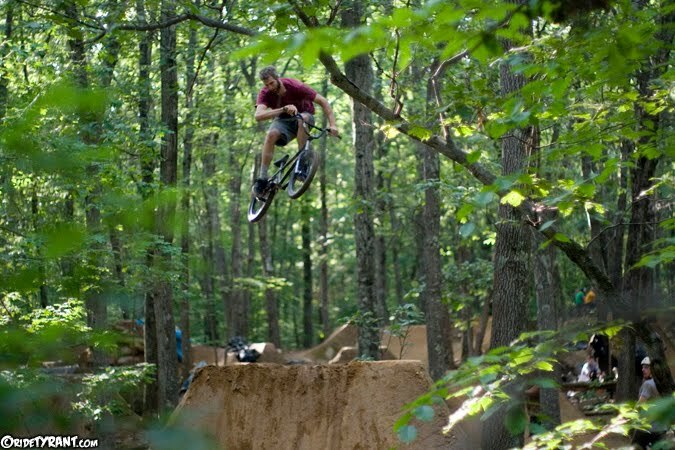 Gotta send a huge thanks out to those guys for having us at their trails. Amazing!